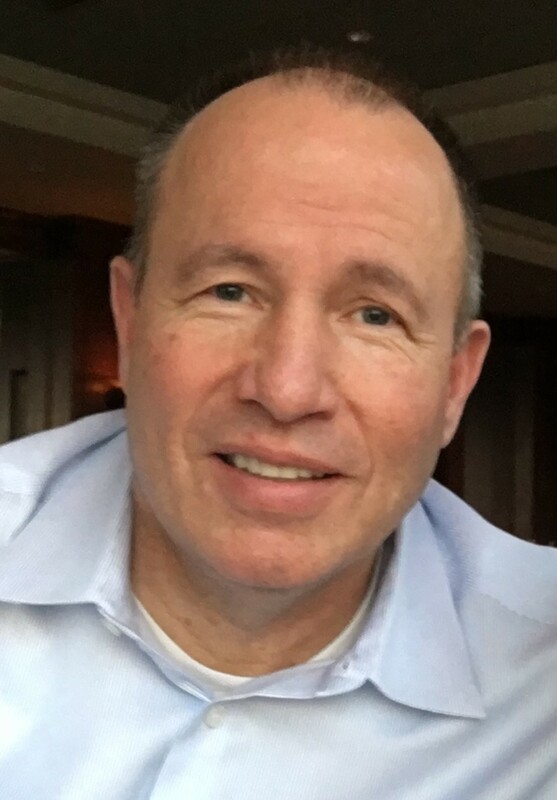 Michael James Bloom, 54, of Chandler, AZ, passed away on March 28, 2019. He was born on March 26, 1965 in St. Anthony, Idaho. He is survived by his wife of 30 years, Michelle, and children Chance, Keaton, Race and Rylie, as well as, his father James Archie Bloom (Sheila), his mother Renee Somsen (Jay), and sisters Tina Johnson (Doug), Julie Lee and Lori Renee Nielson (Robert). Mike played football, basketball and ran track in high school. He graduated from Firth High School in Firth Idaho. He served in the Johannesburg South Africa mission for The Church of Jesus Christ of Latter-day Saints. Mike went on to complete his university education with a bachelor’s in marketing from Arizona State University. Golfing was a passion of his and he played often and competed in many golf tournaments. He was a lifelong fan of football, basketball and golf. Mike loved spending time with his family and was a practical joker hiding around corners so he could jump out at you. Mike spent his extra time serving in the community and church, especially working with the youth. Mike was friendly and outgoing and used his excellent people skills as a pharmaceutical representative for over 27 years. He loved life and making memories with his family. A Viewing will be held on Friday, April 5, 2019 at 10:00 am with a Memorial Service at 11:00 am at The Church of Jesus Christ of Latter-Day Saints on 3770 S. Cooper Rd, Chandler, Arizona. Our heartfelt condolences to you and your lovely family at this very difficult time. We love you. We are so grateful that we got to know Mike and his fun-loving nature. We have such fond memories of him. We are heart sick at this sudden loss and are so grateful for our shared faith. Please accept our deepest sympathies and love at this time. We love your family, and are praying for comfort at this difficult time. Mike was a lifelong childhood friend to so many in the Ashton, Id community and the NF Class of ’83. Our memories of Mike will forever be treasured. We hope that our Lord brings you and your family the much-needed peace during this difficult time. Our condolences to you and your family. I am honored to have known Mike. I will never forget his kindness. My heart and prayers go out to your family. I was heartbroken to hear of the passing of Mike. He was always such a funny, kind person. I knew him from High School. May the Lord be with your family during this difficult time and always. I will be keeping you in my prayers. Mike and I go back to our Phatma days with the Upjohn Co and then Phamrmacia-Upjohn and later I was fortunate to hire him for our New Mexico Oncology assignment with Pfizer. I loved Mike’s kind heart, his drive and his humor. We had some great times on the golf course and in and out of meetings. I am still in disbelief that he is gone, my heart aches for Michelle and the family. Mike, you were loved and you will be missed. Hit em long and straight and make some putts up there buddy, I am sure Tim McKay already has some tee times set for the two of you. My heart is broken for your family. Even as a young man he was kind and funny. I will always cherish our friendship. Prayers for you all! Mike was a very special person. I thank him so much for making the usually dreary pharma meetings we had over the years much more enjoyable. His humor was great, as was his kindness and compassion. We all lost one of the good ones and that makes me sad for all of us. Michelle and family, please accept my heartfelt sympathy. Thanks again Mike Bloom for always making me smile and for your friendship. I am so happy that I could call Mike a friend. He was always so nice to me and my family. It’s so good to know that families are forever. Mike was a person of intelligence and integrity who won people over with his sincerity and kindness. He did his job with excellence and could always bring perspective to any situation. I can remember so many meetings and interactions when he could lighten up the group through a well-pointed comment or facial expression. He was able to find the humor in any situation as he addressed the task at hand. He was a very valued friend with his caring, compassionate, and fun approach to life. We have all lost a very special person! My heart goes out to Michelle and family! Our prayers go out to the Bloom family! Mike always had a smile on his face and was always laughing and so cheerful growing up! Mike was always such a good person, always friendly and had a smile on your face. Your family is in my prayers. We love you Bloom Family! We are so privileged to know you and to have know Mike. He was an influence of strength and perseverance, not only to Josh and I, but our girls who he taught in Sunday School. We are so so sorry for your loss and will continue to keep you in our prayers for many months to come. Mike was a great friend and teammate. He always allowed us to laugh even when we were suppose to be serious. He made the long dreadful meetings tolerable. I remember one meeting we were trying to see who could drink the most water and I must say I missed half the meeting in the restroom. My hear broke when I received a call on the evening of March 28 asking had I heard the news. I just saw Mike in February and we had time for a short conversation and of course a few laughs. My thoughts and prayers are with his family. Your Pfizer team will miss you. We love the Bloom family! Mike was a great man! We are keeping your family in our thoughts and prayers! May the Lord bless you with peace and comfort at this difficult time. My heart is so broken and I’m in such shock and disbelief! I’m so sorry, I loved Mike so much he was such a great friend and the two of you were the best of friends! My prayers and thoughts are with you and your family! Mike was a great business partner and friend. He had a good heart and was fun to be around. I was truly saddend to hear of his passing and I know he will be missed. Michelle, blessings to you and your family. Mike was such a great human being. We worked together for about 6 years at Bristol-Myers Squibb. He was a friend and I was always so happy to see him.at conferences after he had gone on to Eisai. That laugh and smile…both were so contagious. I was just devastated when I heard of his sudden passing as I knew that he had just had his birthday. God bless you, Mike, and your family. Rest In Peace, my friend. I am so sad to be posting this comment . . . to Michelle and to Mike’s family, I am so sorry for your loss and can’t imagine the pain of such a sudden passing. I knew Mike from our days working at Upjohn and as others have noted he could always be counted on to greet you with a smile and a wisecrack. The world has lost a true gentleman and a wonderful guy. May God bless his memory. I’ll miss Mike, and I’ll always look back fondly at our times down in St. George playing golf. He was always a cheerful, good-spirited character. My sincere condolences to his family. I had the good fortune to have known and call Mike a dear friend. My first 4 years at Upjohn were spent learning from Mike. We spent a great deal of time together. I will forever miss our time golfing going to Jazz games and laughing until I couldn’t laugh anymore. I no longer golf much and I think it’s because after Mike moved it was never the same. You will be missed. To Michelle and family I pray that you will be comforted during this difficult time. Mike was a friend to all and I am so sad he’s gone. But I have wonderful memories. 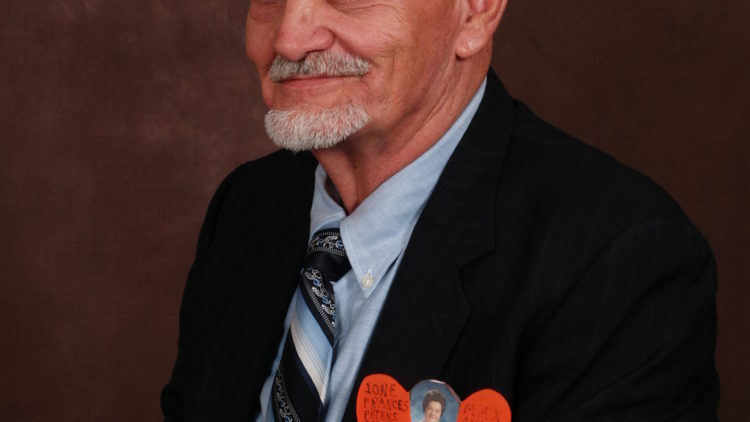 We at Ironwood have known Mike for many, many years as he frequented our facilities regularly, and always enjoyed his kindness, professionalism and humor. Mike spent year after year volunteering at our community cancer survivors’ events, bringing joy to our patients, staff and the community. We are deeply saddened and will miss Mike tremendously… our condolences and prayers to his family. Mike was well to know to all at Ironwood Cancer & Research. He faithfully attended our survivor’s day celebrations and supported our group in a number of ways. He was a genuine individual and we are all grieving at his loss. Our prayers go out to his family and friends. Yesterday we had a pharma vendor fair and we took the opportunity for all (many who knew him well) to express sympathy in a moment of silence. What a great guy! Mike will be missed by all of us that had the pleasure to work with or along-side him over the years! I am deeply saddened and will miss seeing Mike visit our Oncology friends here in Arizona!! I would like for his family to know that he did great things for many people in his time with us!! Mike brought smiles and service to so many, he will be so missed. He shared many good times with colleagues and friends through the years and was enjoyed by those he served. The sadness will never pass but our hearts will always be filled with his warmth and that laugh. He was so humble and yet so proud of Michelle and the kids he would beam when he shared what they were up to and their accomplishments. God bless Mike and to all who will miss him. Mikey will be missed! He was a good guy and always greeted me with smiles and a good laugh. He was always very respectful and a good rep to visit with. I am very sorry to hear about his passing. He will be forgotten! Miss you bud!